1. Discuss the FRQ Questions - 2017 SAQ/DBQ/LEQ Questions - Review the released questions. 2. Video Project is optional and a bonus extra credit score. * Document a certain area of world history - to teach future classes about the issue. * How to survive Mr. Duez's WHAP class. 3. Final Exam Discussion: Our final will be an AP Test for World History -or- one of our Practice AP Tests. Study those and prepare. The FRQ questions will be extra credit for your final exam grade. 4. Introduction to Genocide Unit - Hotel Rwanda - We will begin the movie with discussion questions tomorrow to follow tomorrow. 2. 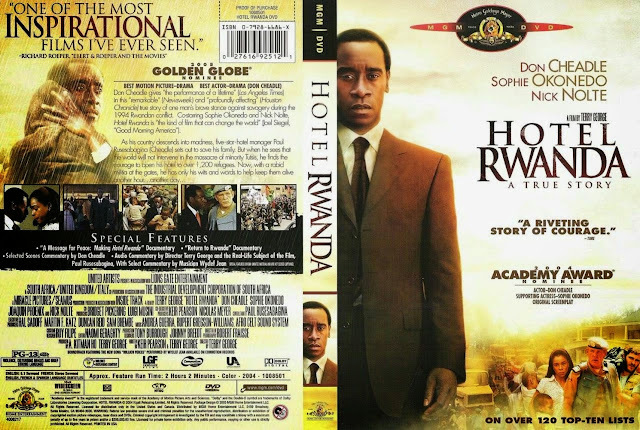 Watch the movie Hotel Rwanda and answer questions that go with it. 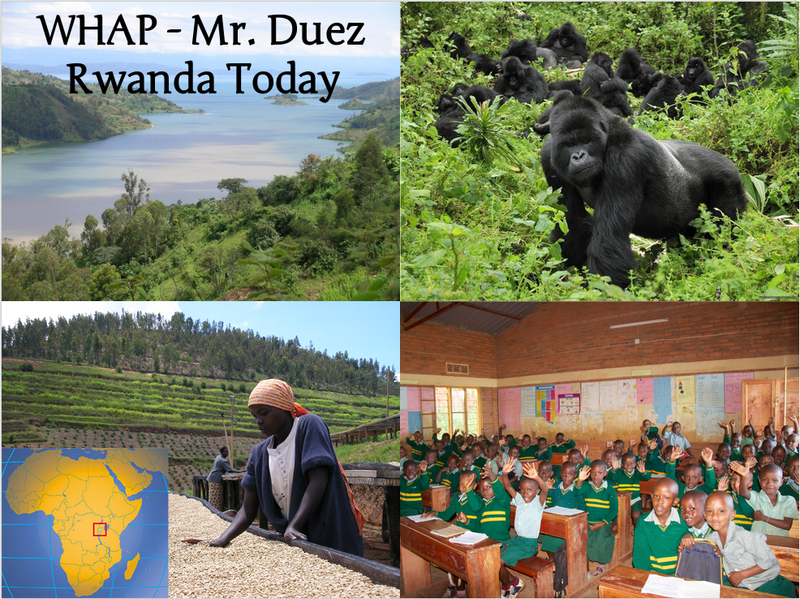 Mr. Duez will also discuss it throughout and at the end of the period. 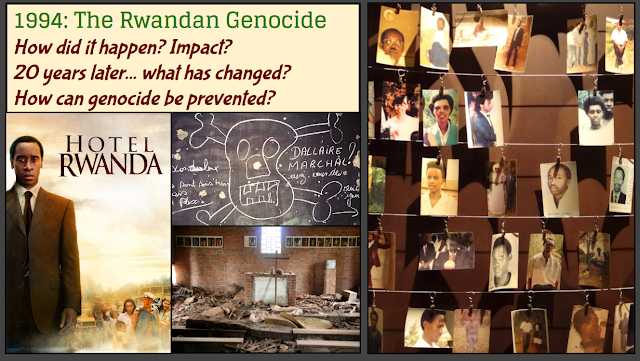 Genocide Project: Hotel Rwanda w/discussion questions.